Flipboard’s iPad app, which launched in 2010, and its iPhone app, which came out a year later, were runaway hits. Now the social news reader app is finally ready and available for the Android market. That means anyone with an Android phone, Kindle Fire, or Nook in the U.S can get the free app from Google Play, the Amazon Appstore, the Barnes and Noble Nook store, and Samsung’s app store. 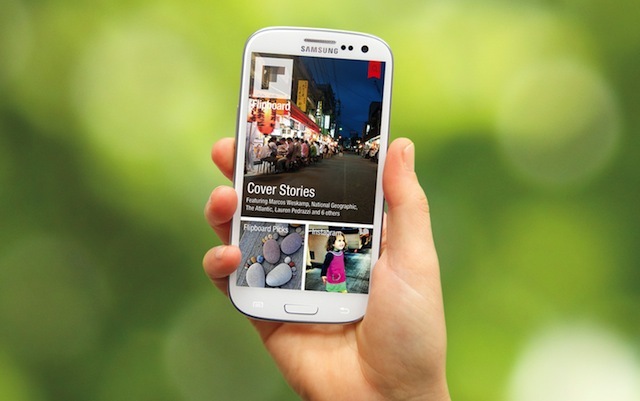 Flipboard, which racked up over 1 million downloads in its first week on the iPhone, has found a favorite partner in Samsung: the app will come pre-installed as a standard app in the new Galaxy SIII smartphone. Earlier this week, Google’s Bradley Horowitz named Flipboard as one of the first users of the expanded Google+ API. Now, YouTube and Google+ subscriptions are fair game on the reader, with +1-ability built into the app. Flipboard is also expanding its local edition lineup. Germany, Korea, Italy, Spain, and the Netherlands will join local editions Flipboard already has outside the U.S. in France, China(with Renren and Sina Weibo integration), Australia, Canada, and the U.K.